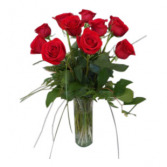 A Beautiful Vase of a Dozen Long Stem Red Roses Vased. 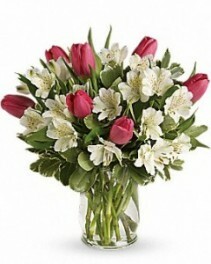 A contemporary clear cylinder filled with pink tulips and white alstromeria. 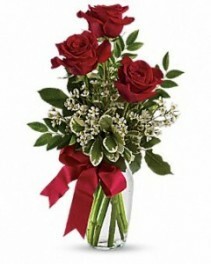 So romantic!! 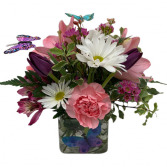 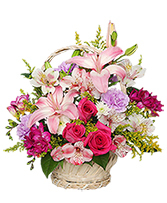 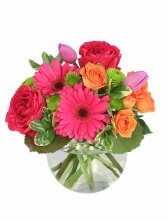 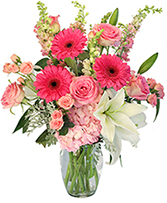 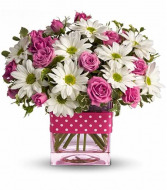 A soft pink cube is filled with pink spray roses and daisies and wrapped with polka dot ribbon. 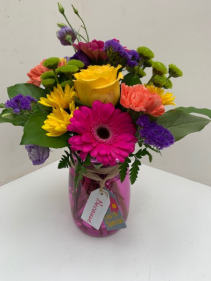 Fresh and sweet this is the perfect arrangement for a birthday or just because. 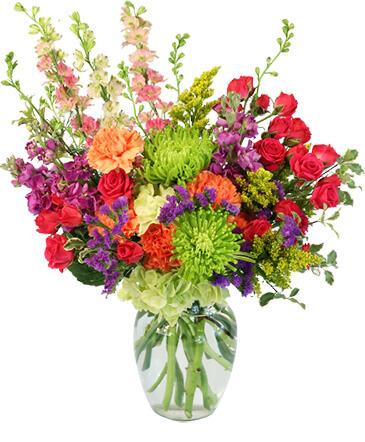 Send one today and make someone happy!! Spring is all the about the flowers. 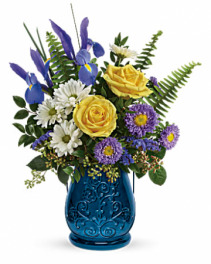 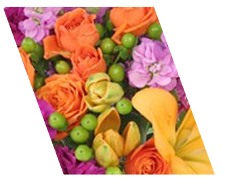 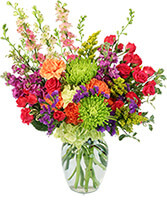 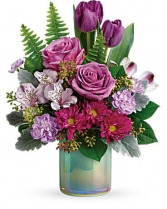 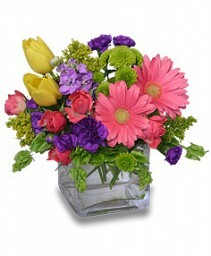 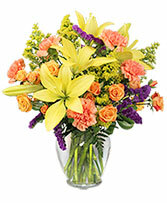 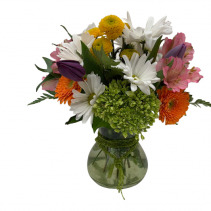 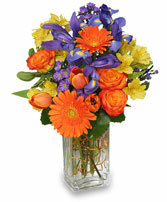 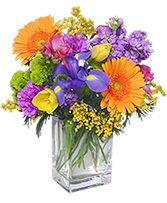 This arrangement is filled with colorful tulips, gerbs, and alstromeria that will brighten any room. 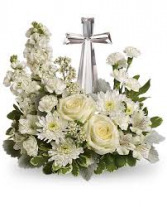 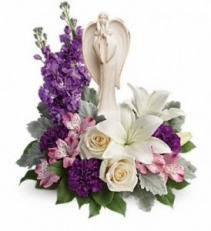 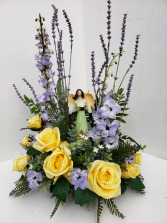 Set in the blooms is a graceful angel sculpture- a serene, spiritual keepsake they will always treasure. 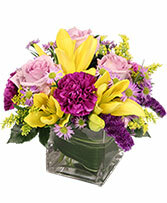 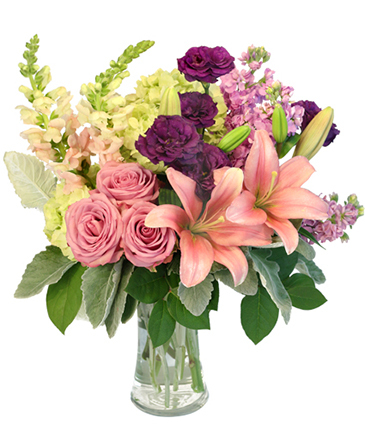 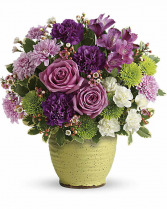 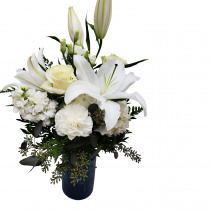 This arrangement has shades of purple and white in it.